3 bedroom, 3.5 bath, 3345 total sq.ft. 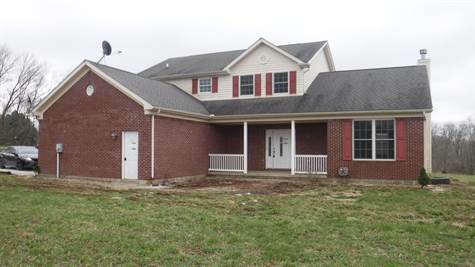 Brick and Vinyl home with a 2 car attached garage on 6.16 acres in Owen County. Home offers eat in Kitchen and Formal Dining Room, 2 story entry and Living room with fireplace. Master Bedroom and Bath on main level and the 2 bedrooms upstairs have their own baths and walk in closets.